The death has occurred of Helen Lynch, mother of Tom, D&CS Tralee. Reposing at Mc Elligott’s Funeral Home, Tralee on Thursday evening from 4.30pm to 6.30pm followed by removal at 6.30pm to St. John’s Parish Church, Tralee. Requiem Mass will take place on Friday, 2nd September at 10am followed by burial in New Rath Cemetery. Ar dheis De go raibh a h’anam. I would concentrate on football and hurling and discover Copper Face Jacks around 26 or 27. In what might not come as a huge surprise, it was Marty Morrissey who said that when asked what advice he’d give to his younger self; you might not know that Marty played in goals for the Clare minor footballers in his youth. 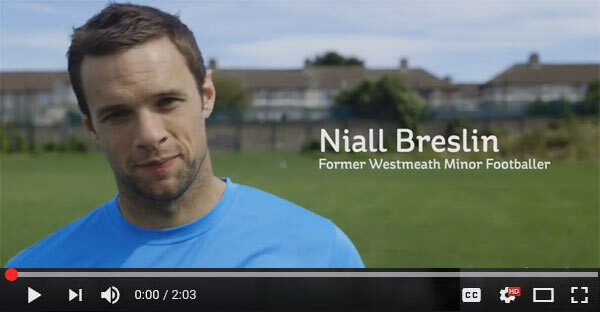 At Electric Ireland we are continuing to champion the Minor hurlers and footballers by proving that there’s ‘nothing minor about playing Minor’ and ahead of the Minor Hurling Final we have teamed up with Marty, Niall Breslin (Bressie) and some other very famous faces to hear about their experiences with the Minor Championship and to look back on the ‘major moments’ that shape a teenager’s life. It is with deep regret we inform you of the death of Brid Fox-Garvey, sister of Mike Fox, CSS, Roscrea/Nenagh. Reposing at Griffins Funeral Home, John’s Gate, Limerick on Friday from 5pm to 7pm. Funeral arriving at the Church of the Immaculate Conception, Terryglass, Nenagh on Saturday for 12noon Mass. Burial afterwards in adjoining Cemetary. Congratulations to all students who successfully completed the 2016 Leaving Certificate and have been offered a place in Third Level College. Application Forms for the 2016 Alan Gallagher Third Level Education Award are now available. This Award is open to the dependent children of credit union members. We also have an Education Loan which can help members pay for the relevant costs associated with putting their children through college. The Death has occurred of Johnny Walsh, Retired Staff, ESB Dundalk. It is with great sadness that we advise you of the death of Martin Mooney, father of our colleague Sean Mooney, Operations Manager, Energy Services. Reposing at The Kirwan Funeral Home, Fairview Strand on Thursday with family in attendance from 5pm until 7pm. Requiem Mass on Friday morning at 10am in The Church of The Immaculate Heart of Mary, City Quay. Funeral thereafter to Glasnevin Cemetery. Family flowers only please. Donations in lieu, if desired, to The Dublin Simon Community. Over the 1st weekend of September, members of Cork City and County Fire Brigades assisted by Gardai and HSE Ambulance service will carry out a ladder climb to reach the heights of Mount Everest. The climb will be facilitated by a group of emergency service personnel visiting all 23 towns that have fire stations in Cork City and County. All money raised will go directly to a great charity that has helped member’s families over the years, “Cork City Hospitals Children’s Club”. A committee representing various organisations have been set up to oversee the running of the event, comprising of local representatives who will be collecting and fundraising for this event. For every ?995 raised, a sick child can enjoy a break to Euro Disney which will hopefully bring a smile back on their courageous faces while undergoing or post treatment. There is a bucket for collection in the canteen in Wilton. PLEASE PLEASE DONATE TO THIS VERY WORTHY CAUSE. My brother in law works with Cork City Fire Brigade and is very involved with this event. After more than 40 years of outstanding service, Margaret has retired recently. Margaret spent much of her career in Dundalk and Cavan. For the last 12 years Margaret has excelled in Mobile Support, helping NT’s from every corner of the country to deliver Meter Works orders to all our customers. All of us who had the pleasure to work with Margaret, are well aware of her immense contribution to ESBN over the years. Her experience, her sharing of knowledge and time, and her enthusiasm will be greatly missed. Margaret’s retirement function will be held on Fri 16th Sept. in the Errigal Country House Hotel, Cootehill, Co Cavan. If you plan to attend, please confirm to Siobhan Mannering on 086-8397647 or Susan O’Donovan on 087-7464287 before Fri 9th Sept.
With the annual ESB Sportsco World Cup just around the corner (15th October 2016) now is the time to start piecing your team together. 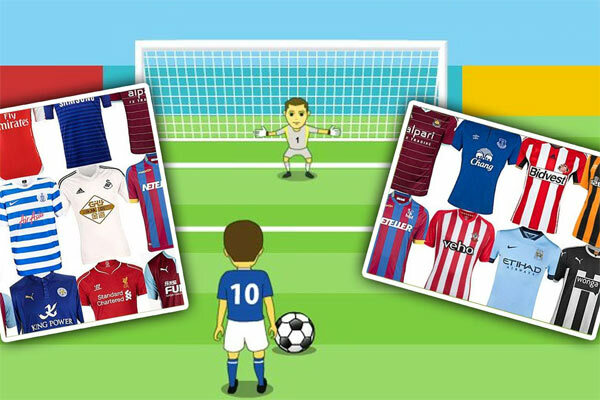 To help you with this the Sportsco World Cup committee have organised a Jersey Day for Thursday 1st September. All the funds raised will be donated to Electric Aid, giving you a great opportunity to contribute to a worthy cause and look good in the process. After more than 36 years of outstanding service, Kay Orr retired on Tuesday 2nd August. Kay spent much of her career in Head Office as Cleaning Supervisor. Those of us who had the pleasure to work with Kay will appreciate her immense contribution to ESB in delivering an impeccable cleaning service across Head Office Estate. Kay’s warm personality, work ethic, experience and knowledge will be greatly missed. John McCormack the husband of the late Dolores McCormack and sons John and Colm and nephew Mark and the McCormack Family would like to express their heartfelt thanks to all who attended at the home and funeral of Dolores McCormack and to all who sent expressions of sympathy. John says it was wonderful to hear all the lovely stories from Dolores work colleagues and to meet many of them for the first time. Thank you all very much for your kindness to me and my family at such a very difficult time . It is with sadness that we advise you of the death of Kay Mangan, mother of our colleagues Dermot Mangan, ITS, Dublin and Sinead Coogan, ESB Health Services, Dublin. She will be waked in her home at 6 Ruanbeg Park, Kildare Town tomorrow evening, Saturday August 27th. Funeral mass will be at Rathangan Church at 10am Sunday followed by burial afterwards. Death of Kay Mangan, RIP. The death has occurred of Kay Mangan, mother of Sinead Coogan, ESB Health Services and Dermot Mangan, Enterprise Operations, ITS. Our thoughts and prayers are with Sinead and Dermot at this sad time. 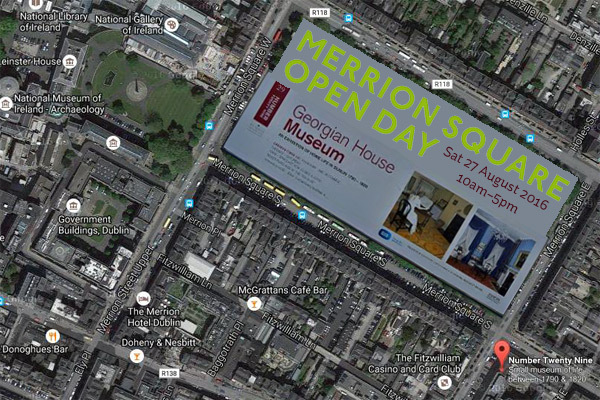 To Celebrate Merrion Square Open day Number Twenty Nine has invited Róisín Ni Bhriain Flautist to play in our elegant Drawing Room. Experience Traditional and Classical Flute Music in Georgian surroundings with Róisín from 2 – 4 p.m. Number Twenty Nine is open from 10 a.m. to 5 p.m. and entry is free to all visitors on this date. On behalf of my family can I pass on sincere thanks to all those colleagues who sympathised with us, sent mass cards, sent flowers or made donations in lieu, visited the family home and travelled long distances to attend Leo’s funeral.